Hi! 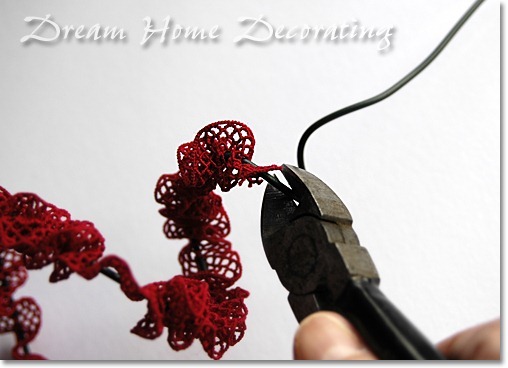 I’m Renate from DreamHomeDecorating.Com, and this is my very first visit as a creative guest on Ucreate. Thank you, Kari, for inviting me! The little Christmas mantel decoration below is one of those super simple pieces you can spruce up to your heart’s content. Enjoy! 3. Pliable but sturdy WIRE – I used about 1.5 yards of heavy-duty gardening wire (about 2mm/0.08in diameter). 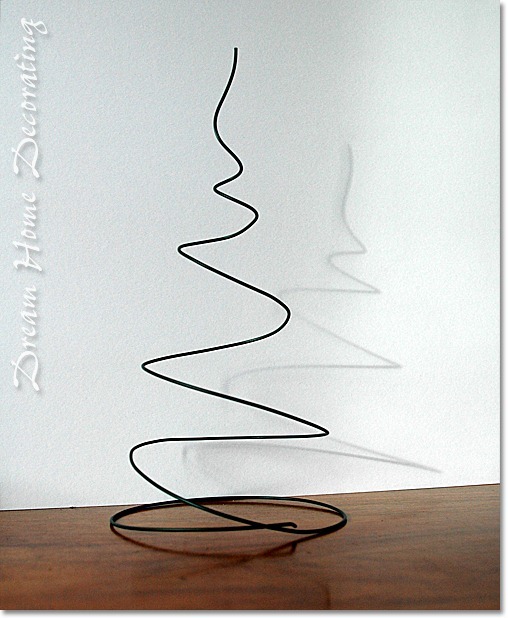 In my first attempt, I tried to make the tree spiral from a wire coathanger. Epic fail! The metal was way too stiff and unwieldy. 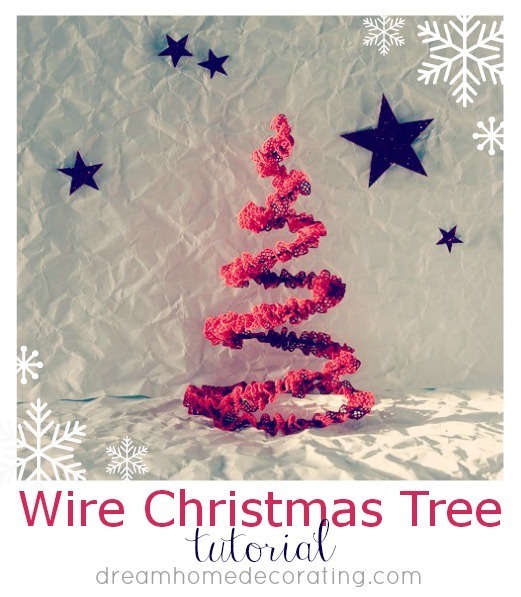 First, tease the wire into a spiral shape, starting from the bottom up. Keep pulling gently inward and upward, and when you’re done, slowly pivot the tree around to make sure it looks straight from all sides. 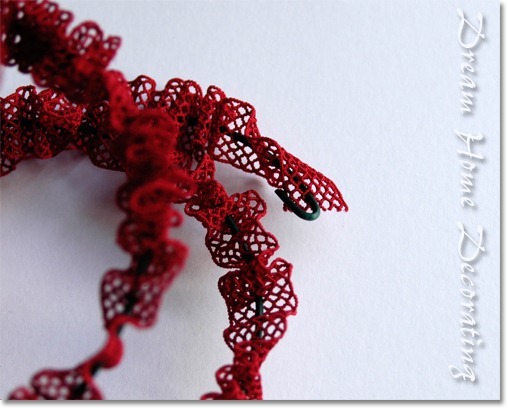 Next, thread your lace onto the wire. It doesn’t matter which side you start from. 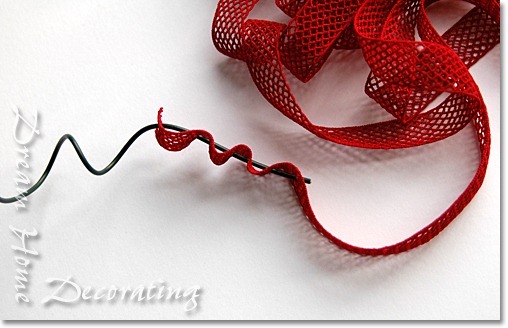 When you’re done threading, distribute the lace/ribbon evenly and cut off any excess wire. 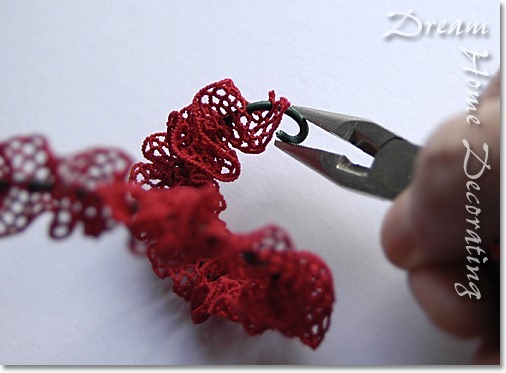 With your pliers, form a loop at the top to stop the fabric from sliding off. (Alternatively, you could ‘crown’ the spiral with something eyecatching and glitzy). Create a slightly more open hook at the bottom end. 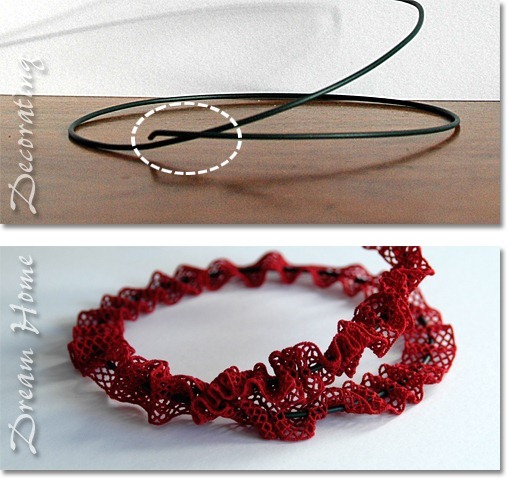 Use the hook to connect with the ‘oncoming’ wire and form a base ring. This base ring helps to stabililize the entire structure. 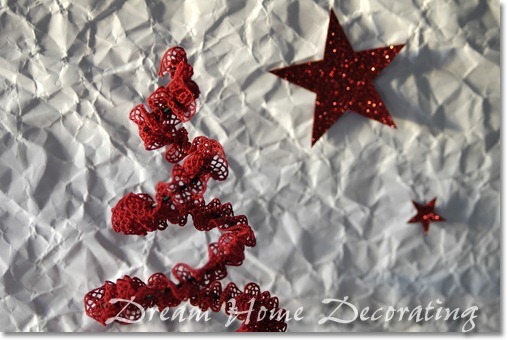 Have fun making some lacy, fuzzy, woolly or glossy Christmas trees! Very Whimsical I would never have thought to do this. So cute!! I love that this is so simple yet adorable! I am totally making a few of these today! My daughter sent this from Pinterest………..very nice! I really love anything trees…….this fits! Oh what a fun idea! Thank you for sharing, I have to get some wire now!